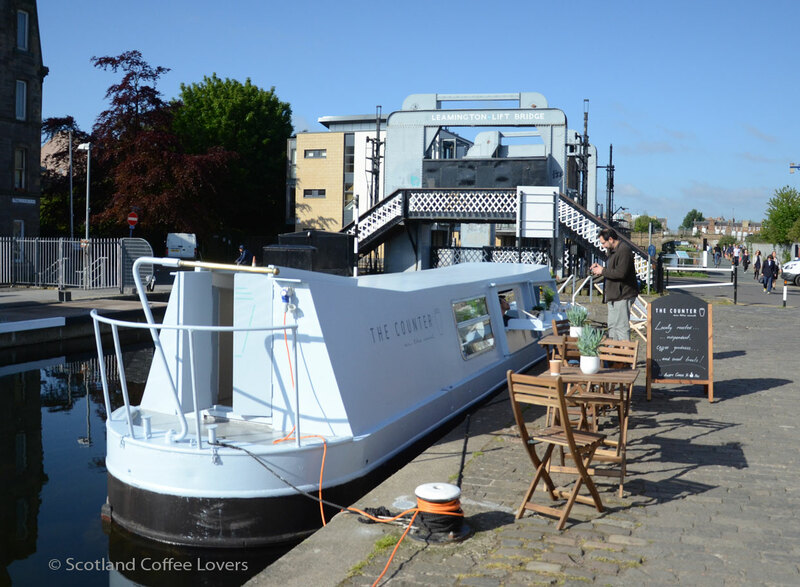 The Counter on the canal (4♥) is a coffee shop fashioned from a lovingly restored canal boat on Edinburgh's Union Canal. Owners Sally and Ali use their bespoke blend from local roaster Mr Eion that is primarily Sumatran and Brazilian. They and their team turn out a mighty fine espresso-based coffee of a choclatey, hazelnutty nature - served in eco-friendly take-away cups. 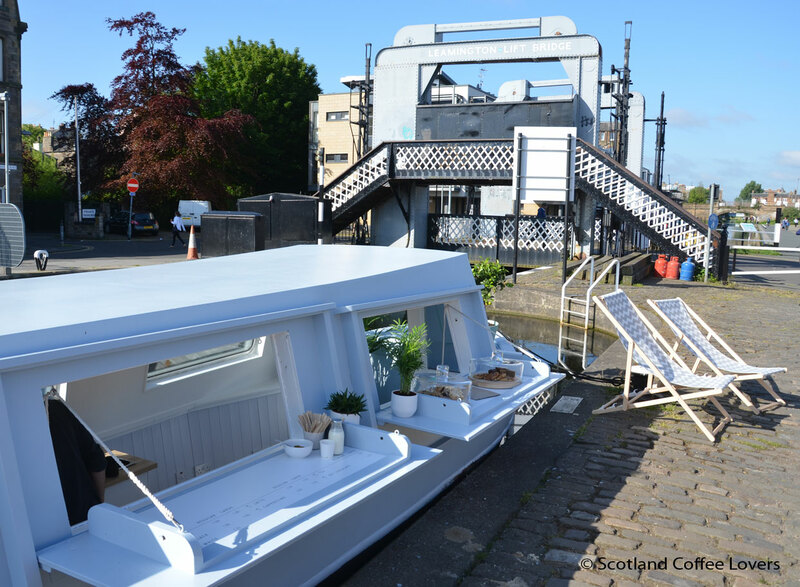 They bake their cakes, cookies, brownies and traybakes in the boat's kitchen, supplying their three police box coffee shops located in Morningside, Tollcross and Usher Hall, as well their boat. The boat itself is very picturesque and the service friendly and attentive. It's permanently moored against the canal edge very near the early 1900s Leamington Lift Bridge, which also has a footway so you can cross from one side of the canal to the other, joining Gilmore Park and Leamington Road. Take-away coffees are actively encouraged for those on their way to work or play, and a few chairs and tables are available for those who have time to linger. You can also slump into a canvas deck chair if you're in an even more laid back mood. Most people don't think of canal boats when they think of Edinburgh because they didn't play a big role in the city's history. The Union Canal was opened in 1822 to provide easy and efficient transport of coal and other minerals from Lanarkshire. As luck would have it, the railway evolved quickly and within 20 years had eclipsed the usefulness of the canal, which then fell into disuse and complete disrepair over many years, closing in the 1960s. Thankfully the Union was fully restored then re-opened in 2001. It was reconnected to the Forth & Clyde Canal by the innovative Falkirk Wheel in 2002. The Counter on the canal is a perfect addition to the canal, making a lovely and historic spot, even lovelier! Boasts great coffee and sells great coffee. 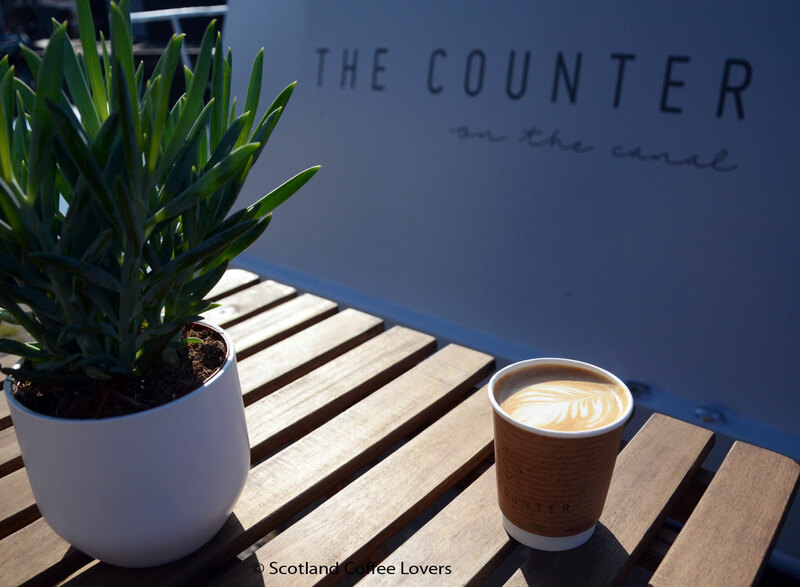 Find the best independent specialty coffee in Scotland, Edinburgh and Glasgow & stay up to date with new shops, roasters & news. Reviewing since 2008, we aim to to help coffee lovers find the best coffee in Scotland.